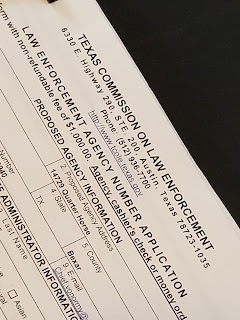 VON ORMY-- The Von Ormy City Commission has applied to the Texas Commission on Law Enforcement (TCLOE) for reinstatement of the Von Ormy Police Department (VOPD). The application is hefty, nearly an inch thick of paperwork. The procedure to process the application could take up to several months. In the mean time, volunteers have been busy performing maintenance on the police vehicle fleet and preparing the new Police Station for service. The City expects operations to be able to being shortly after the license is reinstated. The VOPD lost its license following a dispute over who would serve as Chief of Police. Former Mayor Trina Reyes repeatedly nominated interim Chief Pedro Rosario to serve as Chief, but City Commissioners denied the nomination on multiple occasions. The Commission subsequently re-hiring former City Marshal Greg Reyes. The Von Ormy Star confirmed with Bexar County that former Mayor Reyes contacted them for cancellation of the City's dispatch agreement with them. TCLOE, the state agency that licenses law enforcement agencies, requires all agencies to have dispatch services. The cancellation of the city's agreement with Bexar County triggered an automatic revocation of the VOPD license with TCLOE. The Von Ormy City Commission voted to apply for reinstatement soon after VOPD had its license revoked, but TCLOE would not accept an application without the Mayor's signature. Former Mayor Reyes declined to sign the application. The City Commission next voted to grant signing authority to City Commissioner Alex Quintanilla. Due to the uniqueness of the situation, TCLOE referred the question of whether a Commissioner could sign an application for reinstatement, rather than a Mayor to their agency attorneys. That process had not been completed by the time of the recent Von Ormy elections. 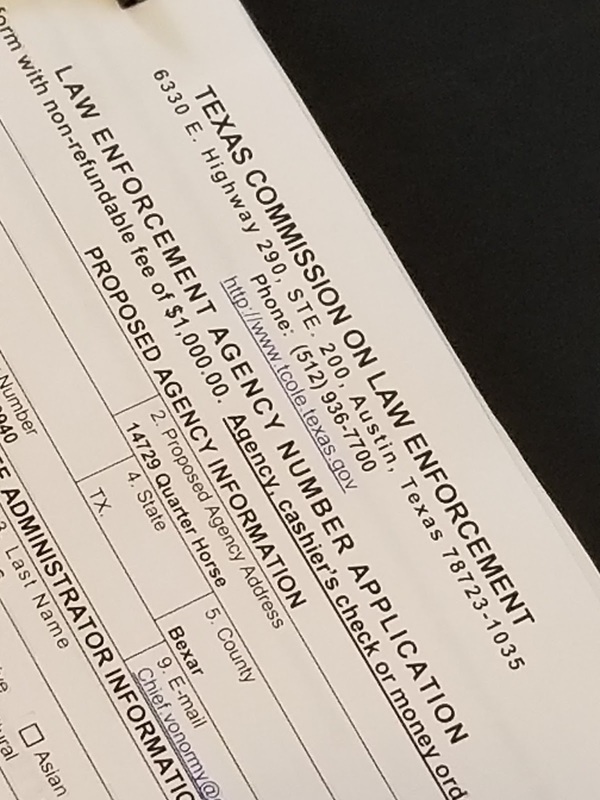 With the election of a new Mayor and City Commission, the path was cleared to reinstate both the dispatch agreement with Bexar County and the VOPD license. The request for resumption of dispatch services has also been filed with Bexar County. So the deputy lost his most important thing which he should be kept in careful and with more security. Now it is a chance to go for the Bexar County Warrants and look into them for lost item. Follow our signals NOW & earn up to 270% per day. Published monthly (más o menos) since 2008.